At least 85 Degar-Montagnard refugees are hiding in poor conditions in the Cambodian Jungle to escape police crack-down on Activists by the Vietnamese Government and deportation by the Cambodian Government. At least 85 Montagnard refugees from Vietnam are hiding in Cambodia's malaria-infested jungles, Radio Free Asia (RFA) reports in an exclusive story. Cambodian Prime Minister Hun Sen yesterday dismissed reports of Montagnard refugees in the area and threatened to remove by force any who might flee there. Correspondents for RFA's Khmer service met at least 85 Montagnards — ; all members of Vietnam's mostly Protestant, minority hilltribes — ; currently hiding in the deep jungles of Rattanakiri Province. The Montagnards, who are split into 14 small groups, include 61 men, eight women, and 16 children aged from 20 months to 13 years. In separate interviews, they said they lacked food and drinkable water and were suffering from malaria as well as unexplained fevers and rashes. Many said they had fled central Vietnam's Gia Lai Province after tens of thousands of Montagnards staged a demonstration April 10-11 to demand religious freedom, independence, and the return of their ancestral lands. The Montagnards suffered hundreds of injuries and at least 10 deaths during a crackdown by police and pro-government mobs, according to witnesses. Several said they had been beaten, jailed, and persecuted by Vietnamese authorities after the protest. Romah Fu, 33, also from Gia Lai Province, said Vietnamese police beat him until they broke several ribs after he refused to renounce his religious beliefs while in custody for joining the Easter protests. He fled, he said, when he learned that four Vietnamese soldiers had been asking after him. Another man, Sev Huch, 40, of the Jaray ethnic group, now lives in a tiny shelter covered with waterproof canvas, along with his wife and seven young children. Sev Huch said he was arrested by Vietnamese authorities during the Easter demonstrations but was later freed conditionally. After he protested his treatment in detention, he said, police were looking for him — ; so he packed up his family and fled across the border. "Please help us," he said, speaking through a translator in the Jaray minority language. "Please have pity on us." Another man reported through an interpreter: "We demanded the right to own our ancestral land and cultivate it, but many of us were jailed. We were afraid, so we fled to Cambodia." On Monday, the Cambodian Interior Ministry said there was no evidence to back up reports that Montagnard refugees were living in the border jungles. A day later, Hun Sen told journalists such reports were spread by "liars." Hun Sen agreed, however, to let the United Nations High Commissioner for Refugees (UNHCR) open offices in northeastern Cambodia, though he warned they should not become refugee camps. The Cambodian government has objected to UNHCR efforts to help the Montagnards, saying they are not political refugees but economic migrants. More than 160 were deported from northeastern Cambodia in April alone. "Who can we help when there is no person?" Hun Sen asked. "I don't know how and whom to distribute [aid] to since there is no person to give it to.'" Hun Sen also warned that he would use military force to crack down on the Montagnards if they set up clandestine bases inside Cambodia to fight for a separate homeland in Vietnam. 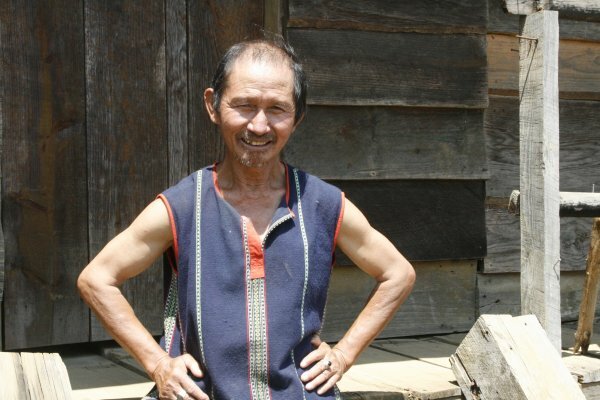 The Montagnards, who fought with U.S. forces during the Vietnam War, differ from other Vietnamese in their ethnic background and their religious faith. The top UNHCR official in Asia, Jean-Marie Fakhouri, accused Cambodia in May of failing in its international obligations in its treatment of the Montagnards. In June, an official with the Cambodian Interior Ministry's Central Office for Security told RFA that nearly 100 Montagnards were in UNHCR custody in Phnom Penh. In 2001, more than 1,000 Montagnards fled to Cambodia following a massive government crackdown on their protests against religious repression and land confiscation. Many eventually resettled in the United States.